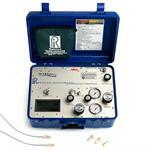 Pressure Calibration Standard. 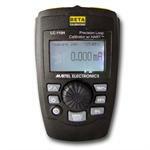 The most reliable calibrator on the market! We sold our first one in 1985 and that customer is still using it!!! 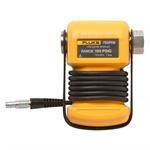 Totally self-contained N2 source, precision digital readout of pressure and mA, 24Vdc power to X-mitters. 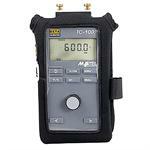 Mfr # LC100; High Accuracy of +-0.015%; High resolution of 0.001mA/0.001V; Extended Adjustment Range, 250 Ohm Hart Resistor. Dial or push-button target values. Step, ramp, or point to point. The best loop shooter that money can buy. 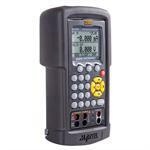 Fluke 750R04, 750R06, 750R27, 750R07, 750R08, 750PR29, 750PR30, 750R31, 750RD5, 750PD50, 750RD6, 750RD27 Reference & Reference Dual Range Pressure Modules Precision pressure measurement for 75X and 720 series calibrators. 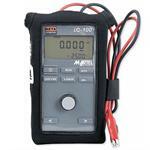 The Martel LC-110 and LC-110H are mA (loop) calibrators designed to take the loop calibrator class to the next level. 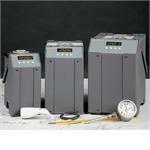 The new LC-110 series feature a user friendly interface with dedicated buttons and a rotary encoder (Quick-Set Knob). 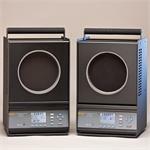 Need portability and extreme stability? Hart Micro-Baths have both. We invented the Micro-Bath. And, while many have tried to duplicate it, none of them use proprietary Hart Scientific controllers, so none of them deliver performance like a Hart bath. The most versatile temperature calibrator available with a temperature range that makes it especially ideal for use in the health care, medical, pharmaceutical, biotechnology and food industries. Combining dry-block and liquid bath technology, the RTC-158 are designed to calibrate oddly sized and shaped sensors or multiple sensors at once. Pressure/Vac Calibration Standard is Rack Mounted. 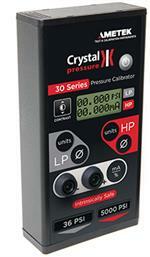 Totally self-contained N2 source, precision digital readout of pressure and mA, 24Vdc power to X-mitters. 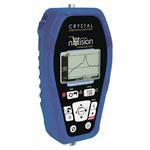 The most economical, dual display, multifunction calibrator available! 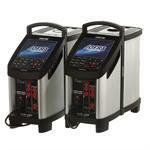 Built in 24V supply can drive 4-20mA loops up to 1000 Ohms. Pressure module comm port compatible with Fluke 700 series modules or Beta modules. Direct entry of RTD co-efficients. 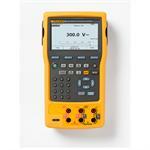 Fluke 750P29, 750P30, 750P31 High Pressure Modules Precision pressure measurement for 75X and 720 series calibrators. Available in single or dual pressure ports. Ranges available from vacuum to 16 psig to 0 to 5,000 psig. Intermediate ranges are available by looking at the Range Select feature and choosing your preferences. All wetted materials are SS or TFE coated. 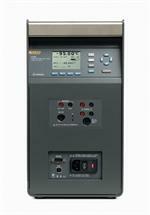 With a built-in high performance electronic pump and precision pressure controller, the 761 series portable automated pressure calibrators provide a turn-key solution for calibration of gauges, transmitters, and switches. Fluke 750PA3, 750PA4, 750PA5, 750PA6, 750PA27, 750PA7, 750PA8, 750PA9 Absolute Range Pressure Modules Precision pressure measurement for 75X and 720 series calibrators. 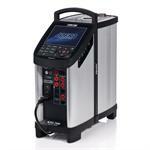 It's not just a new pressure calibrator or a new pressure recorder. 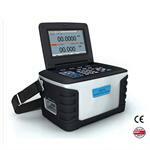 It's a field calibrator that can display recorded data graphically on a high resolution screen. No need to stop a test to analyze data on a PC. Fluke 750PD2, 750PD3, 750PD10, 750PD4, 750PD5, 750PD50, 750PD6, 750PD7, 750PD27 Dual Range Pressure Modules Precision pressure measurement for 75X and 720 series calibrators. 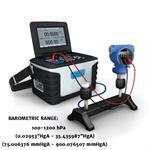 This Thermocouple Calibrator provides high accuracy and measurement of 10 common TC's, as well as mV. The TC-100's accuracy of ±0.3 °C for Type J T/Cs includes all errors, at resolutions of 0.01 °C or °F in measure mode, and 0.1 °C or °F in source mode. 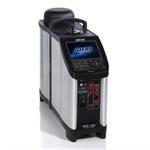 Offers high performance along with a full range of features. Has a wide temperature range and provides precise temperature calibration of sensors, regardless of type and format, through an innovative triple-zone heating technology. The Fluke Calibration 9190A Ultra-Cool Field Metrology Well is the most accurate and stable, cold temperature dry-block on the market. 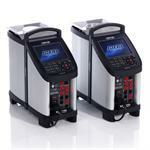 It’s ideal for applications that demand strict quality control and regulatory process compliance. The 754 is everything you needed and wished for in the 744 and more! HART communication capability is combined to deliver an integrated communicating calibrator.